Just like the term suggests, the common cold is widespread and has happened to each one of us. It is however very uncomfortable viral disease and can make one feel tired and exhausted. Symptoms of this disease are such as sneezing, runny nose, sore throat, blocked nostrils among a few others. It can happen to anyone and anytime. Usually, it is common especially during winters. A common cold is self-treatable, and often, the person recovers within 3 – 4 days. Cold causes distress to the person. It also makes one feel droopy, dull and a person cant pay much focus towards the work and other activities. However, there are simple cures to treat common cold that offers little comfort to the person during that time and can also help in recovering from it. Here are ten simple cures for a common cold. We cannot deny the importance of water in our lives. It is vital to maintain and regulate all the essential functions of our body. We should drink lots of water while suffering from a common cold. But not just water, other fluids such as fruit juice, soups, tea can also be drunk during this time. These fluids help the body stay hydrated and also provide some relief. It also helps to clear the congestion which can assist in recovering. Although one should stay away from caffeine based drinks, sodas, aerated drinks as they cause dehydration which can further worsen the condition. Our body needs proper sleep to function normally. Inadequacy in the amount of sleep can cause several problems in the body. A common cold can affect the body and can make one feel tired all the time. It is hence a good idea to get enough sleep and take lots of rest. Our body generally needs to rest to heal from any condition and sleeping can be the best treatment for a common cold. Many believe that ginger tea as an effective remedy to cough and cold. Ginger has anti-allergic properties that can help recover from a cold. It helps to soothe a sore throat and also helps provides relief from a runny nose. A person suffering from a common cold can drink this 3 to 4 times to get maximum results and recover from a common cold as soon as possible. It can be consumed in the morning before breakfast and also during the night before going to sleep. An age-old remedy for treating a sore throat is salt and water gargle that has been a common practice. A sore throat is a common symptom of a common cold, and that is very irritating and causes great discomfort. It can be treated by merely gargling using salt and water. It should be done multiple times in a day to achieve the maximum result. A simple gargle can provide a lot of relief from the symptoms of the common cold. Milk is a traditional remedy for cough and cold. Turmeric contains anti-bacterial properties that help to fight against bacteria. It is incredibly comforting to consume hot drink of milk and turmeric together during the common cold as it provides relief and instant relaxation. Milk and turmeric based drink should be drink during this time as it gives comfort. It can soothe a sore throat and also provides relaxation from the congestion. Regular consumption of this mixture can recover a person from a bad cold. Turmeric has anti-allergic properties that can help our body and provide immediate comfort. Consuming fruits that have vitamin C in them can help in quick recovery from cold. Lemons are a rich source of vitamin C, and one can intake in the form of juice to provide the body with lots of vitamin C. It is said that consuming fruits with vitamin C can prevent the common cold. Consumption of vitamin C reduces the severity of a cold and its symptoms. Hence, Vitamin C supplements should be a part of our diet plan, and that can help to prevent catching a cold in the first place. Honey has been considered an excellent cure for a common cold. It soothes an irritated throat and also helps to get rid of the congestion. Consistent consumption of honey during this phase can provide a lot of relief. It is a commonly prescribed remedy for children because it is useful and is also natural. It has anti-bacterial properties that help to heal the throat, and also it helps to sleep calmly. The direct form of honey or honey cough syrups can be taken. A warm water bath is exceptionally soothing and makes one feel refreshed. A lot of people prefer warm water baths because it provides relief from the body aches that are a common symptom of a common cold. Regular warm water baths can help a person to recover from a cold faster than usual. Some say that adding Epsom salt or essential salts to the warm water can also help one feel refreshed and soothes the tired body. Many of the studies have shown that garlic prevents becoming sick. Many say that adding garlic to our daily diet can prevent cold in the first place. It contains a compound called allicin that has anti-bacterial and antifungal properties that help in curing a common cold. It can help one in getting rid of the congestion and runny nose problem as well. Echinacea is a herb, and the roots of this herb can be used to treat the symptoms of a common cold. It has flavonoids and other active ingredients that fight against the infections and prevents cough, sore throat, congestion and helps to recover fast. It is generally consumed in the form of tea and can be drunk twice a day to get relief from a common cold. These are few simple cures to treat a common cold. A common cold does not have a fixed treatment as such and usually goes away on its own. But provides discomfort and irritation and it has symptoms like cough, sneezing, sore throat and others. A few simple cures that can give a lot of relief and make the situation a little bearable. 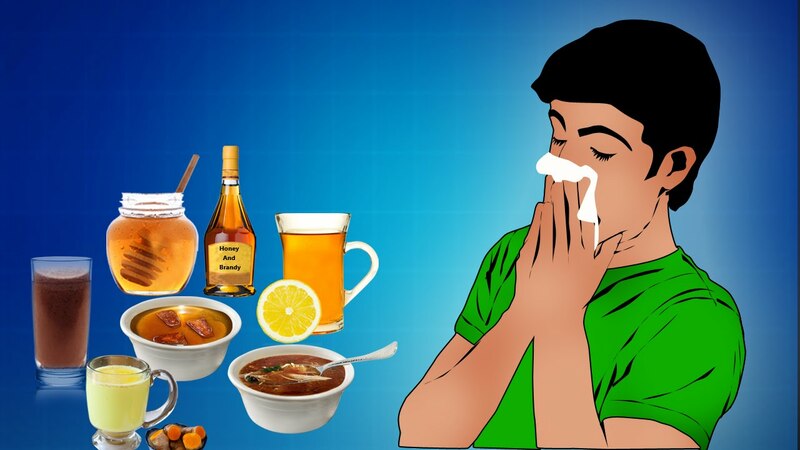 If one can follow these simple cures, then a common cold can be prevented in the first place itself, and the immune system of our bodies can be made stronger. A few preventive measures can make a huge difference and also following these cures while suffering from a common cold can provide an immense relief.